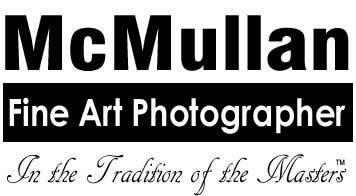 I've been involved in photography for almost 40 years now. During that time, I've done about every kind of photography there is; Weddings, Portraits, Commercial, Architectural, Crime Scene Investigation, Fashion, Nature, Wildlife and Landscapes. The only kind of photography I've really enjoyed is landscape photography and fine art photography. By clicking below you will find many of my photographs grouped together into portfolios. I hope you enjoy them! I love black & white photography. There are so many more emotions that can be conveyed through the many different shades of gray than can be expressed through color. Back when color photography first began, many of the old Masters felt like color photography would never take off just for that reason. Obviously, digital imaging is taking over but there are still purists out there who are doing photography the old way by developing their own film and prints. For black & white to be done correctly, you never could send it to a lab. You had to develop it yourself to do it right. Color film and transparencies could be sent out and almost anyone could print those correctly. All of the black & white photos here were taken on a 4x5 view camera. All of the images here have been scanned with my Epson 1200U scanner. When I started in photography, I shot a lot of Ektachrome color transparency film (slides). I wasn't really impressed with color photography so for my fine art work, I shot mostly black & white. Eventually, Fuji came out with their Velvia film but at 50 ISO it was a little too slow for my tastes. I did like the color saturation though. Then, Kodak came out with their Ektachrome 100VS. I was fascinated! This film has about the same color saturation and vibrance of Velvia but in 100 speed film. I bought this film by the case and shot miles of it through my Nikon F5. The older I get, the more I realize just how fast life flies by. I have always been fascinated by sunrises and sunsets. They are all a little different. I grew up in the Texas Panhandle. The wind always blows and the land is as flat as a pancake. There are no mountains or other geological things like that to photograph so if you enjoy that kind of photography you have to take what you're given. I enjoy photographing sunsets with windmills in the foreground. You will see some of these photographs in this portfolio. We only get so many sunrises and sunsets until our lives are over. We need to take the time to enjoy every one of them we can! Religion has meant a lot to me my entire life. I became a Christian at the age of 13. Religion has made an impact in this world and always will. Everywhere you go, there are religious images and objects that show people's devotion to their faith. Take a look at the images I have captured over the years.